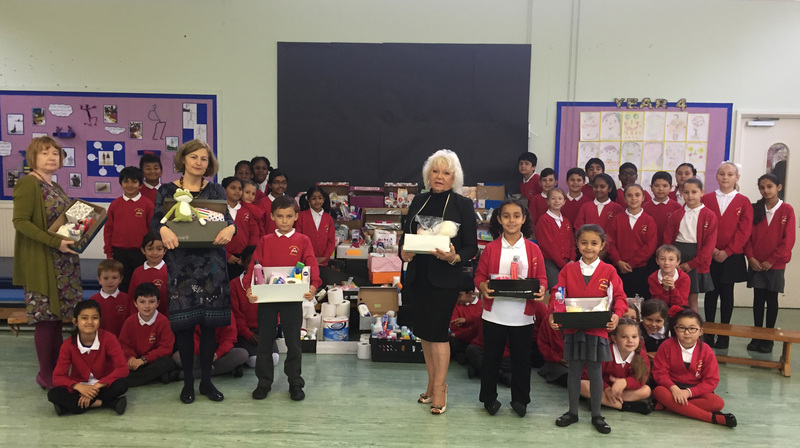 As part of its Harvest Festival this year, pupils from Abbotsbury Primary School are donating gifts to refugees who currently live in Merton. Abbotsbury School Council with all the donations they have collected. (L-r) Yvette Stanley (Director of Children, Schools and Families at Merton Council), Jackie Schneider (teacher at Abbotsbury) and Cllr Maxi Martin went along to see the work the children had done in gathering donations. The children were inspired by footage from the national Guardian’s film We Walk Together, which follows a Syrian family leaving Syria. They wanted the donations to be toiletries which the council’s social workers would give to those refugees for whom Merton is already home. 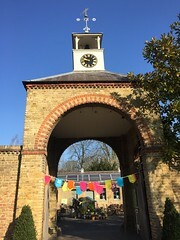 Abbotsbury Primary School pupils also contribute to the Merton Food Bank.